Press Release:– The Saint Lucia Air and Seaports Authority (SLASPA) is delighted to announce CBRE | Heery, Inc. (CBRE | Heery) as the architect for the Hewanorra International Airport (HIA) Redevelopment Project. CBRE | Heery is a leading full-service architecture, interior design, engineering, program and construction management firm with multiple offices throughout the United States of America. The Miami office is leading the efforts related to the HIA redevelopment project. With over 40 years of dedicated sustainable design and construction practices, the award-winning company is recognized as one of the best with its composition of industry-leading experts, delivering world class projects in sectors including aviation, corporate, health care, sports and education. The company has a longstanding relationship with SLASPA which spans over a decade, having been selected as the architectural firm for both of the previous planning and design stages of the HIA Project. Their understanding of the industry, the demands of the aviation sector and the criteria which Saint Lucia aspires to meet, enabled a relatively smooth selection process for the Authority in recommitting to the company. aviation industry and rival our neighboring Caribbean islands as one of the best airports in the region. As a leader with extensive experience in providing architectural designs and program management for similar aviation projects, their work includes the Hartsfield-Jackson International Airport, Miami International Airport – North Terminal Development, and Luis Munoz Marin International Airport, in San Juan, Perto Rico. Fernando Gavarrete, Miami Office Managing Director for CBRE | Heery has expressed elation in executing this project. 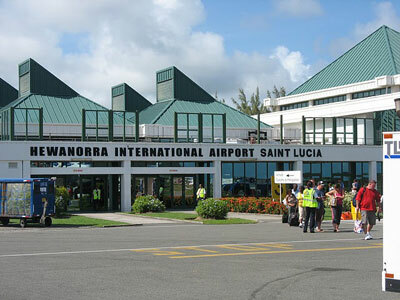 In ensuring that the blueprint for the project was in accordance with international standards, SLASPA have engaged the local, regional and international civil aviation stakeholders including; The International Air Transport Association (IATA), International Civil Aviation Organization (ICAO), Eastern Caribbean Civil Aviation Authority (ECCAA), the Ministry of Civil Aviation along with partners from the local airport community. HaHa. Who are you trying to fool? What a lame attempt of transparency. Why Robert Lynguist did not pick it up. After all we paid 3 million dollars.